SAF-T Auto Centers’s Waterbury repair facility has been faithfully serving this community for decades. Our exceptional services are able to keep you on the road. Come to the Waterbury location and receive a new standard in auto repairs and maintenance. We always strive to exceed customer expectations and leave you completely satisfied with the service you received. As ASA and ASE Certified mechanics, our expert techs are highly trained and to raise your vehicle condition from fair to excellent. Keep your car SAF-T Auto Centers’s in perfect working order, and stay in front of any costly auto repairs or breakdowns and handle check engine light issues as they appear. One reason people search for a new car is because poor maintenance standards have forced their hand. Our top quality maintenance services allow you to enjoy a better driving experience for much longer. The most cost-effective method is to take proper care of your vehicle as opposed to buying a new one. That’s our specialty, extending your vehicle’s road-life with expert repairs and maintenance services. You can also come to us for any of your tire needs. Our friendly staff is here for all tire sales and service. Have your wheels equipped with the industry’s best performing tires. 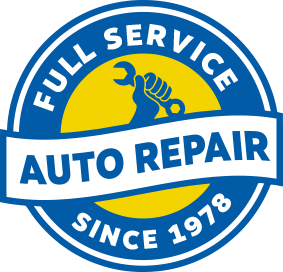 For expert-level auto repairs, just contact the friendly and professional staff at SAF-T Auto Centers in Waterbury, CT. We’re a full service auto repair facility that makes, that maximized every visit to our shop. Fixing your automotive problem is our passion and we want our customers to know we guarantee all of our services. Consider your problem fixed as soon as you bring us your vehicle. We handle all auto services with the same level of excellence, from minor oil changes and brake service to major engine and transmission repairs. Business owners bring us their fleet so we can stay on top of all routine maintenance. Having a productive fleet on the road is the top priority and having an experienced team you can trust makes that happen. With our 36 Month / 36,000 Mile Warranty, you have nothing to worry about. Not only are we your best option for top notch auto service, but we guarantee your satisfaction. For added security, we even make extended warranties available. You can schedule your next auto repair appointment right now! Just give us a call at (203) 755-7238 and we can discuss how our experts can help you, or stop by 40 Industry Lane for walk-in service. For your convenience, we have an online scheduling system that puts your next appointment one click away. Our qualified technicians are waiting for you to pick a time and a day that works best for you. "Saf-T Auto Center is the service center you want to visit to get your car fixed right the first time. Their courtesy check makes sure your car is safe from end to end. Staff is very friendly and very knowledgeable. I have referred my brothers and neighbors to Saf-T Auto Center and they are getting their vehicles serviced there as well. I own 4 vehicles and have each one serviced there with complete confidence that the job is done right."